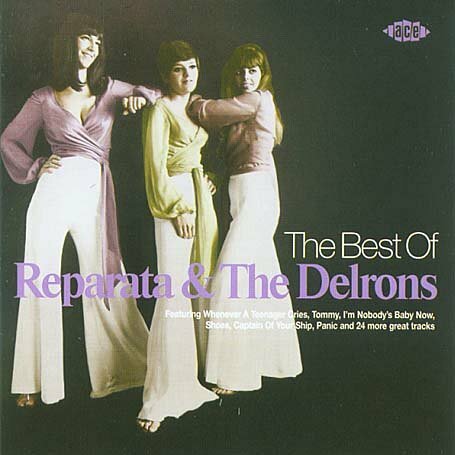 This is the collection of Reparata and the Delrons to get. It gets in 30 tracks. The other collections for around the same price have less. Allmusic gives this an indifferent review stating that they weren't one of the girl group greats but I disagree. Saturday Night didn't Happen and Weather Forecast are classics, songs that have a bit of a late 60's vibe to them, more than just the typical girl group sound. I also liked Captain of your ship, Panic, and Boys and Girls. I lost this cd and just bought it again last week. It was like revisiting an old friend. I completely forgot about Panic and the overall quality of their material. I just listened to Shoes for the first time, a song Reparata released on her own in the 70's, and it was pretty cool.